Holiday Sales are in full swing. They are flooding your inbox and invading your newsfeed on social media. So with all those sales out there, how do you stand out? There is so much noise out there you want to be seen and heard and you want people to consider your product or service as they part with over $90 billion over the Holiday Season. With over half of that $90billion being spent online, you want to make sure you stand out from the crowd and benefit from all that spending. With over 124 million households spending more than $750 (on average) per household on Christmas alone, missing this increase in consumer spending hits your bottom line hard. While folks are shopping online for gifts, they also spend on themselves. So if you have a service-based business, you can still reap the benefits of increased spending by offering the right services and standing out on social media. If you are wondering how to do that, consider your own newsfeed during this time. What attracts you and what annoys you? 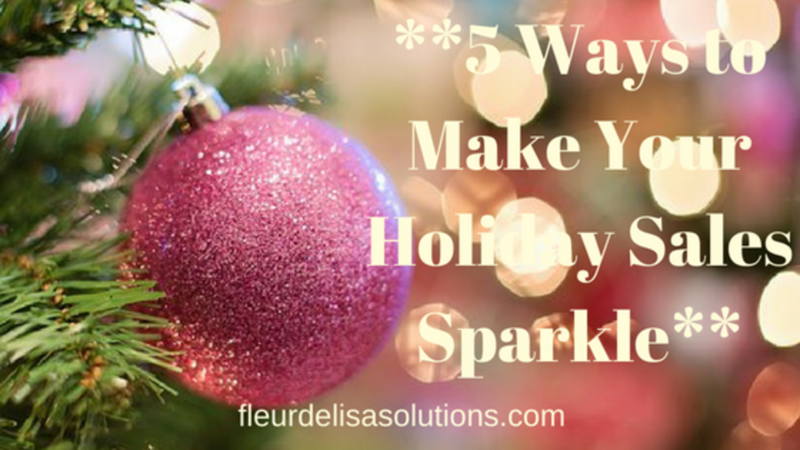 Here are 5 ways you can sparkle in the newsfeed and grab attention. First thing is first. KNOW YOUR CUSTOMER! This is by far the biggest reason you may be missing the mark. I talk to business owners all the time who just don’t understand who their customer is and WHY they buy from them. Understanding your customers is vital to making the sale no matter what time of year it is. First, think about your best-selling products or services. These are the things your customers WANT from you! These are the very things you should be looking at for holiday sales. Remember, holiday sales are designed to bring in revenue and potential new repeat customers so giving them your best-selling product or service because this is what they WANT will make them more likely to come to you for that next thing they need that you offer. Giving them what they want, as opposed to what you want to discount, will help build their trust in your brand and make them feel like you understand them. Spend some time evaluating your products and services to make sure you are hitting the mark for your holiday sales! While this may seem like a no-brainer, during this busy time of year many business owners are overworked and overstressed and don’t take the time to do this step. Know what your competitors are offering and at what price point. Is there anything that you perceive as better than your offer? If so, you want to tweak your offer because you want to be better than the rest. Another thing to consider is offering an add-on to the sale item to provide added value to everyone who buys from you. Okay, so this one may be challenging for many business owners during this super busy time of year, but it is vital to your business. You need to be on top of your game with customer service and dealing with any issues and complaints during this highly visible time of year. If this means hiring someone temporarily to field problems, then do it for the sake of your business. Have an awesome product or service is great, but if your follow-up and customer service are lacking, you will lose out on repeat customers. Set your bar high and exceed expectations of others and win them over as repeat customers or customer advocates! NOW is your time to sparkle and shine! Big discounts help, but not if they are the wrong discounts. First, as mentioned above, you want to make sure you are giving customers what they WANT! Next, consider your normal price point. How much can you afford to discount and still be profitable? You also need to consider time if you have a service-based business. Biting off more than you can chew for services will mean you will not be able to give the level of service you need to provide to buyers to make them want more. If you discount your best-selling products and services, you may not need to discount them as much for people to see the value they add. For instance, deeply discounting one of your best selling services that it takes you a lot of your time to provide service for may leave you exhausted trying to provide the level of service you should and will leave your buyers disappointed with your brand. Whereas, discounting that same service by only 20% may give you the boost in revenue you need and still allow you to service your clients exceptionally well. Also, if you are selling a service like hot cakes that you know you will not be able to provide great service for, it is best to pull the sale so you can service the buyers who bought already and replace the sale with something else that will not leave you overwhelmed. You may also want to test deeply discounted flash sales. Whatever you decide, it is best to consider all aspects and not just the money the sale is bringing in. Making a lot of money and not being able to provide service is a lot more detrimental to your business than not making as much and having raving customers. 5. Don’t SPAM Your Holiday Sales! Remember what I was saying about considering your own news feed This is a big reason people do NOT buy. If you ONLY post your sales and spam groups constantly, people will tune you out. 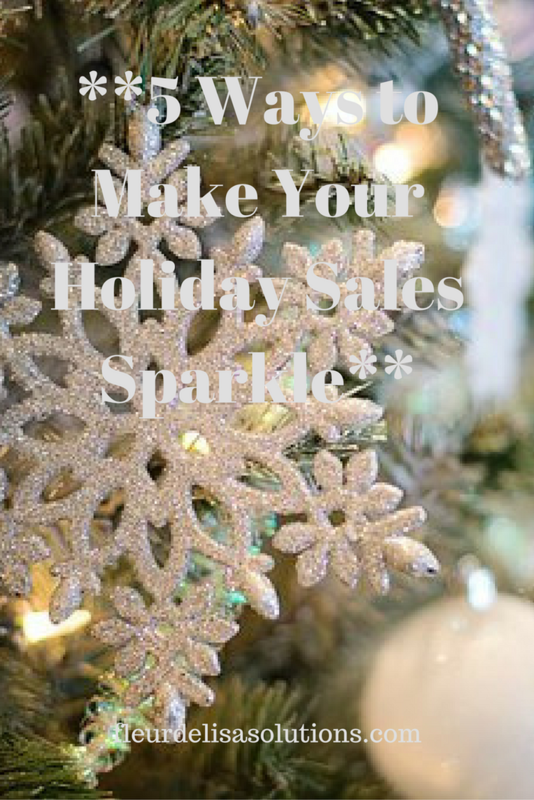 They are already inundated with sales, so be wise in spreading the word about your holiday sales. Remember that your Facebook business page posts should contain no more than 20% promotional posts. This means that 1 in 5 posts or LESS should be promotional. Also, consider posting into groups. Don’t spam every group you know all at once. Space out your posts. Many people are in multiple groups you are in also and if you post all at once, then you appear very spammy. Try posting to a few every 3-4 hours apart. Also, set up Twitter cards for your sales and schedule them out ahead of time. This will save you a little time. Make your posts sparkle with exceptional graphics and headlines. That will win more clicks than spamming every time! If you need help with your year-end strategy, CLICK HERE NOW to get started TODAY!